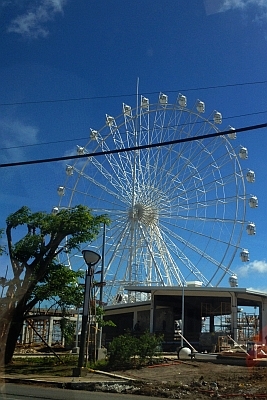 Tutubi's recent daytrip to Tagaytay made him stop by on the national road near Taal Vista Hotel to take this picture of a giant ferris wheel in Tagaytay Ridge that will surely offer leisure park visitors a stunning view of Taal Lake and Taal Volcano, and probably romantic sunset views of Tagaytay. What used to be a vacant lot beside Taal Vista Hotel that was used as a horseback riding with a view by children and kids alike is turned into a leisure park by SM Land. It will probably be open during Holy Week when Manila is shutdown on Holy Thursday, Good Friday and Black Saturday only to re-open on Easter Sunday. Many know of Tagaytay & Taal Volcano, but did you know about the Heritage Town of Taal? It's the foremost heritage town in the Southern Tagalog region and its right next to Tagaytay, Taal Volcano & Lake! Not many know, so we are trying to get the word out. 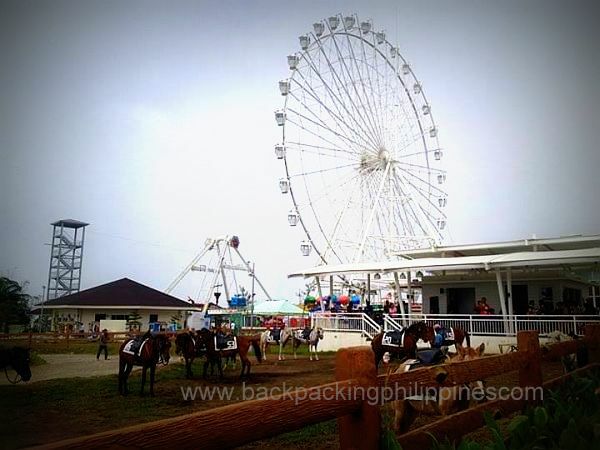 what po ang open at closing ng tagaytay sky ranch? Please specify rules of the amusement park. Pets are allowed in the park provided that they wear diapers. Can you help me to get the Contracted Rates at Sky Ranch? I'm Jem from Do Rayd Travel and Tours. How much po ang entrance per head? Rides all you can? Thanks. How much is the entrance per head? Is it rides all you can? Thanks..